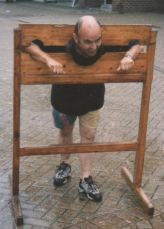 When you're plugged into the Internet this coming weekend, why not do something completely different? You can contact Danny D or any member of the team behind the World Record Attempt at info@worldrecordattempt.co.uk. 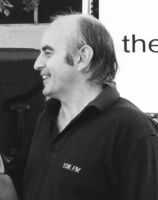 Danny D - one of the original presenters from YDR FM (Yeovil District Radio), who are in the process of applying for the full time broadcasting license for South Somerset and West Dorset. Local radio stations in the west country will be tuning in to hear just what is happening at Zero - and in Danny's home town, Yeovil, Chicago Rock Café will be broadcasting a live link from 8pm to 10pm on the Sunday evening to cheer Danny on. Danny will be attempting to set a new world record for the longest DJ set playing only from Vinyl and also broadcast on the Internet! Danny is aiming for a staggering 72 hours, so hopefully no one will be daft enough to try to beat it. Danny's personal records stand at a magnificent 60 hours. No wonder Danny is being sponsored by VK Pure Energy - this time without the vodka, thanks! Last time Danny set his current record at Chicago Rock Café, 1300 people from across the globe - from Bogotá to Sydney - tuned in. Why not join us. If you want a dedication played drop us an e-mail, but remember - Danny can only play vinyl records. Danny along with his friends at Chicago Rock Café venue and Hi-Life Fitness Club will be raising money for morning television's GMTV's "Get Up & Give Week" appeal - handing over the cash in the presence of The Deputy Mayor of Basingstoke and Deane, Councillor Gerry Traynor, and Basingstoke's Member of Parliament Mr. Andrew Hunter . 1. Only Vinyl can be used, no CDs or Mini Discs are permitted. 2. No record can be played more than once within a four hour period. 1. Staying awake for over 72 hours. During the attempt you will be able to listen to Danny via a live Internet broadcast. The link will appear below as the attempt begins. The Internet broadcast of the World Record Attempt is kindly being provided by Chicago Rock Café.